Bryan Robson backs Jose Mourinho at Manchester United – Royal Times of Nigeria. Mourinho’s position at Old Trafford has come under scrutiny after he oversaw United’s worst Premier League start since 1992, with Monday’s 3-0 defeat to Tottenham condemning United to their second loss in their first three league games. But former United captain Robson has dismissed suggestions that Mourinho should be sacked, and has urged supporters to rally behind their manager. “It’s too easy,” he told MUTV. “The minority of fans in clubs will be asking for the manager’s head after a few bad results and it’s often they speak the loudest. After Spurs inflicted the biggest home defeat of his managerial career, Mourinho conceded that he did not know his best defensive line-up. 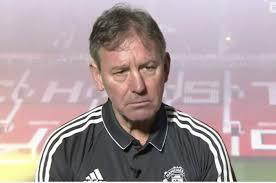 Robson was left concerned by the United manager’s comments in his fiery post-match press conference, which culminated in him storming out demanding respect from journalists. In Robson’s opinion, the key to United’s recovery from their early-season slump lies with the establishment of a defensive partnership, not continual change. “We need two defenders who know each other properly. Like Rio Ferdinand and Nemanja Vidic and others, but the centre halves have also always been in the team.